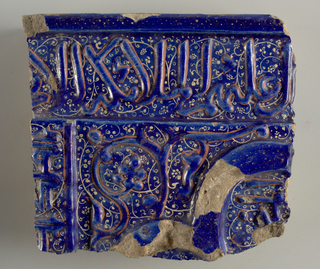 We have 42 objects tagged earthenware and this is page 1 of 2. 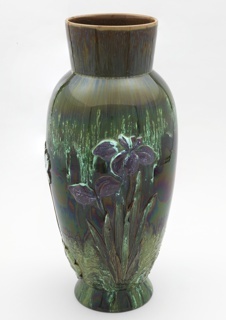 Museum purchase from the Misses Hewitt Fund. 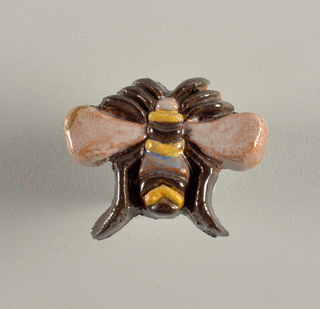 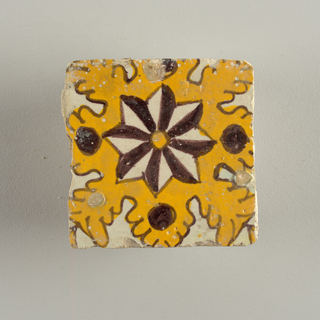 This object was made by Moravian Pottery and Tile Works. 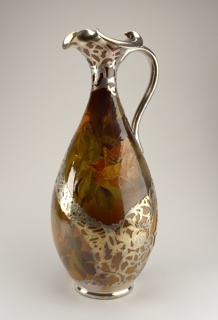 Gift of Elizabeth J. Kovacs. 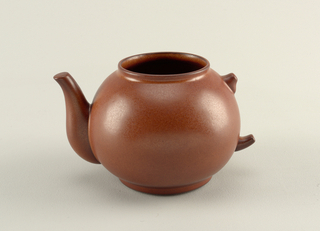 This object was made by Local potters. 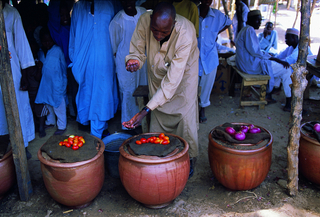 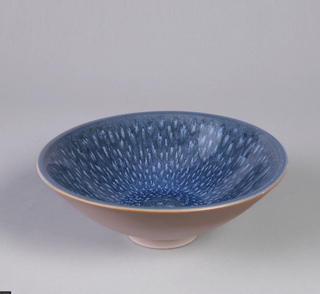 hand-painted and glazed thrown earthenware. 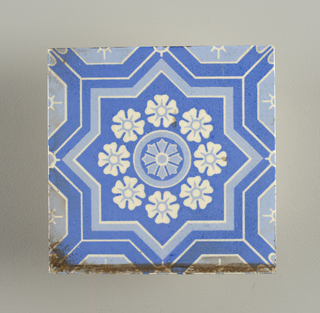 molded, enameled, gilded and glazed hard paste porcelain. 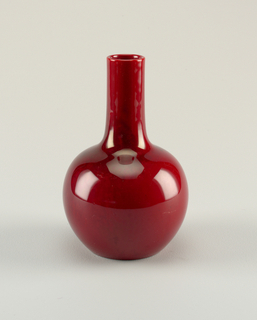 This object was made by Wiener Porzellan Manufaktur, Augarten. 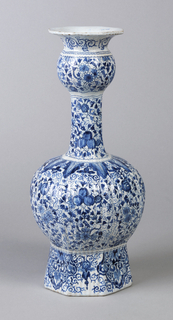 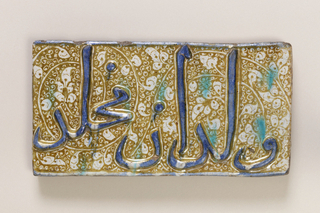 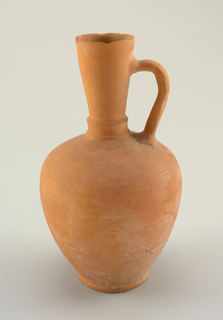 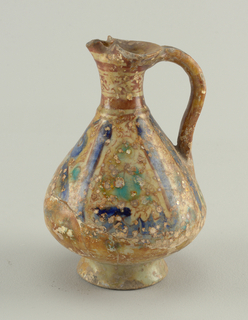 lead-glazed earthenware with polychrome decoration. 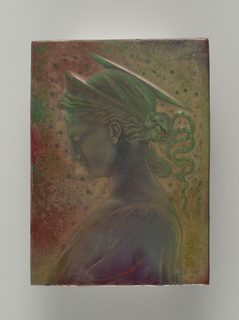 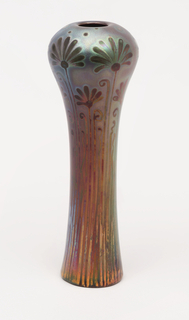 Collection of the Newark Museum, Purchase 1923, Gift of Otto Kahn, 1923.236. 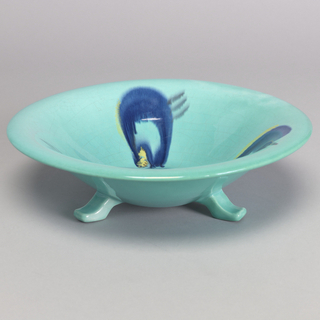 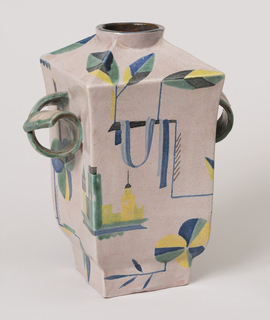 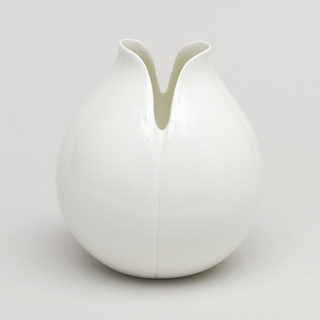 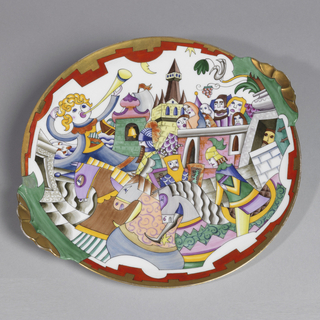 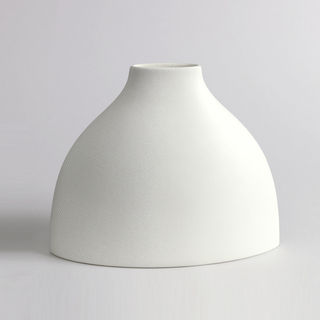 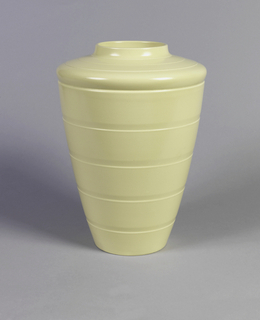 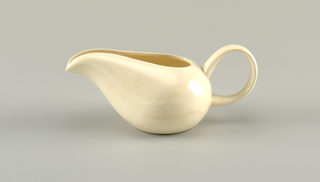 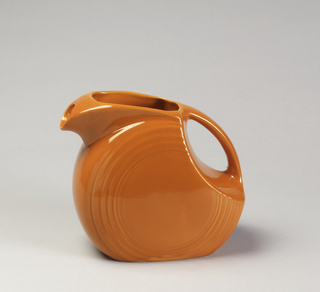 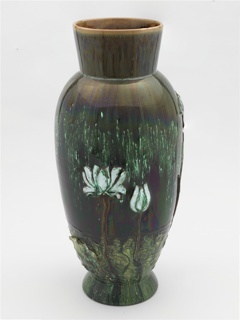 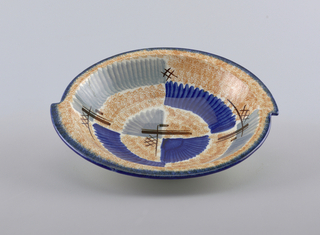 This object was made by Gmundner Keramik. 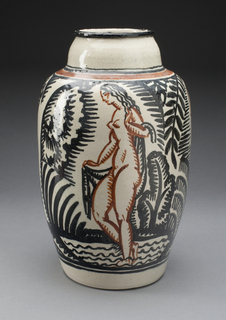 glazed and lustered earthenware, underglaze and underpaint decoration. 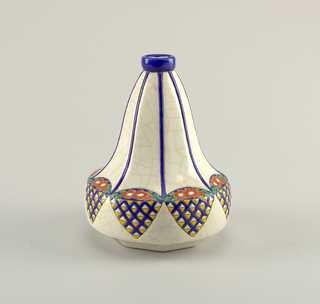 This object was made by Longwy Pottery. 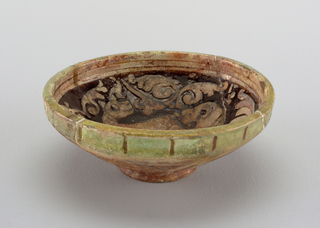 thrown, painted, and glazed earthenware. 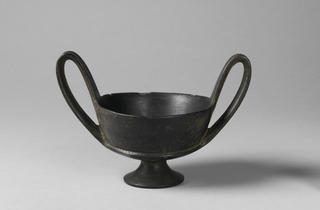 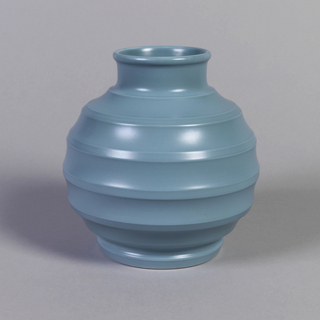 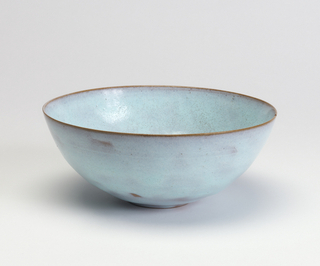 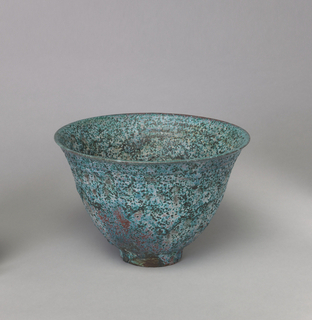 molded and glazed stoneware, nickel (mount). 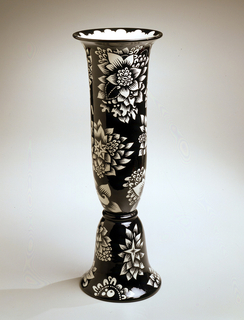 glossy black and dark gray biscuit control-fired earthenware. 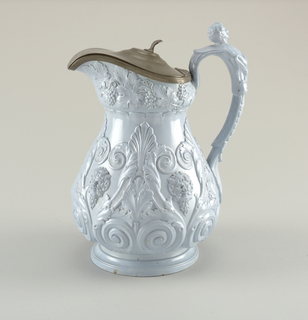 This object was made by Homer Laughlin China Company.